Yo Gabe, where you at? It's always a risk talking about a topic at a time where it has the potential to change dramatically. In this case, Valve CEO Gabe Newell could walk out at the Game Awards and announce the Vive 2, a handful of games and free knuckle controllers for everyone and their first born. Probably not, but I'm just covering my back. You see, "What the hell is Valve doing?" is one of those evergreen questions that could refer to just about any part of its business that isn't Steam. It's a notoriously secret company, an enigma shrouded in secrecy and endless bad jokes about it being unable to count to three. It's a tactic that often works in its favor, but when it comes to its VR ambitions, I'm more concerned. This week Oculus launched a beta for its Rift Core 2.0, which overhauls the user interface of the headset. It's a nice final act in a year that has seen Oculus breathlessly rolling out new features, games price cuts and news of forthcoming headsets. Meanwhile, HTC continues to push forward on the HTC Vive with programs like Vive Arts and amazing innovation with its Vive X accelerator. As for Valve, it announced some custom lenses back in October, but beyond that it's been rather quiet. To me, it's felt a little too out of the picture lately. 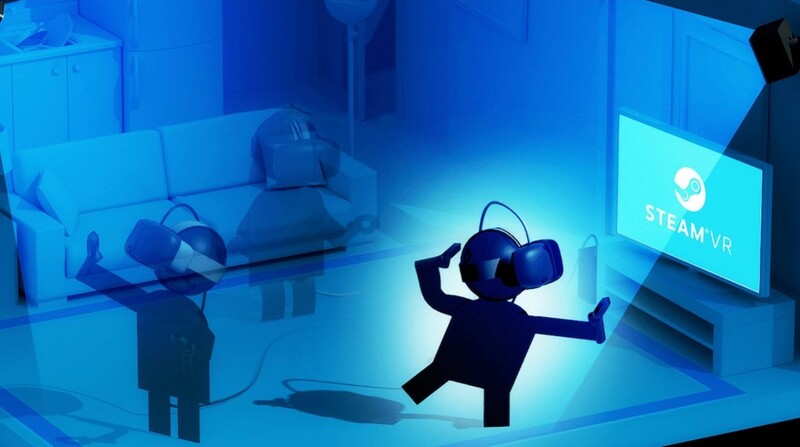 According to Canalys research estimates, the Vive trailed the Rift in the third quarter by 50,000 sales, whereas a year ago it was reportedly ahead. The Rift's price cuts this year have surely helped it leapfrog and then some, despite no major hardware upgrades since the Touch controllers. Sure, the Vive's tracking tech is still superior to the Rift's, but as a whole Oculus has the more polished product right now, which is important in such a nascent industry. There's also been a lot of debate over whether exclusives are good or not, something Gabe Newell is very much against. Yet it's clearly paying off for Oculus right now. Meanwhile Valve seems more interested in building the foundations for VR and letting it grow organically, but it could very easily fizzle out. I understand the value of building the tools for others to use, but Valve has the brains, know-how and ambitions to be more of a driving force than it is at the moment, in an industry that badly needs it. At least Valve is reportedly still committed to the three VR games it promised. It tallies with our feelings about the VR wars at the moment. Oculus may have brought about the modern age of VR, but out of the gate, the Vive was a more immersive, more impressive virtual reality headset. For a long time it sat as our number one VR headset to buy, but just a couple of weeks ago we decided things had changed enough to warrant a reassessment. The Oculus Rift is now our system to beat. I don't doubt Valve's interest in VR for a second, but it's also very prepared for virtual reality to fail. I want to see it more bullish. I'm not asking for a culture shift, just to see it moving in closer from the sidelines. Do you agree? What would you like to see from Valve? Let us know in the comments below.